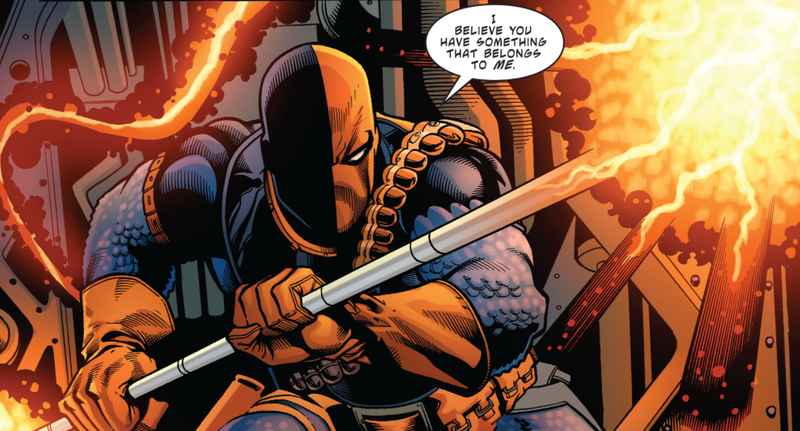 For the past few years, Deathstroke has been linked to the standalone Batman movie. But now, it seems like Warner Bros. has bigger plans for the character—and they’re placing him in the hands of the director of The Raid in the process. Both The Wrap and The Hollywood Reporter are reporting that Gareth Evans is currently in talks to both write and direct a standalone movie based around DC’s legendary assassin Slade Wilson. Joe Manganiello, who was cast as Deathstroke for standalone Batman movie The Batman last year following a cryptic tease from Ben Affleck, is still attached to star as the character in the new movie. io9 can also confirm that the project is in the works, but it is currently in very early stages. There are no details yet on whether this means Deathstroke is out of The Batman altogether—in the time since his casting for the movie, both the script and the director of the movie have changed from being... well, not Ben Affleck any more—or if the movie will be part of Warner Bros.’ new line of “Elseworlds”-style movies free of the continuity of the mainline DC movies. We’ve reached out to Warner Bros. for a statement about the reports, and will update this article if we hear back.